It is true that Instagram is almost nothing without the beautiful and appealing images. It becomes impossible to capture the attention of the potential customers, as well as, your followers if the Instagram account is not engaging enough. This is why it is crucial that each and every business put out beautiful and engaging content for the customers. The customers are looking for constant engagement from the businesses that they are interested in. You cannot just post anything and everything without being sure if your customers are going to like it. Most of the businesses do not hire the services of the professional graphic designers. They tend to do the designing for all the posts themselves. It is not a bad idea to design the posts on your own, but it is always possible to gain knowledge about how a post can be designed in a much better manner. Ultimately, it is not the posts that count, but it is the beauty and alluring nature of these posts that will bring back the customers to your Instagram account. With boring posts on a regular basis, you will end up losing both your followers as well as your prospective customers. Given below are few of the important tips for graphic designing, which you can consider for developing the best and unique posts which your followers would love to view on a regular basis. The font that you are choosing for each and every post makes a huge difference. These fonts are of equal importance as the image that you are posting. A poor choice of the fonts can make it extremely difficult for the customers to understand the posts and they do not want to take it in a serious manner. When you choose a perfect font, it is capable of driving engagement, as well as, interest in each and every individual post. It is true that it is not easy to find out which font works with which post. However, it is best to avoid the childish fonts like Comic Sans or Papyrus. There are a few reputed applications that you can try for getting the best possible font recommendations for your posts. If you are creating the images with the help of different applications, you also get the opportunity to try all the different fonts for understanding the ones that work perfectly for you. If a particular post is font heavy, you should try using the contrasting and interesting font styles to make your post look appealing. When your potential customers come across a post that has the perfect image along with the proper font style, they will be immediately attracted towards your business. Therefore, select the font size extremely carefully. Simple designs are known to work in the best possible manner for your posts. If you overload the images with a lot of information, it becomes difficult for your present and potential customers to understand, which part of the post is relevant for them. Your image should be extremely high-quality but ensure that you keep a lot of white space and do not overload the image with unnecessary or unattractive information. Moreover, you should also minimize the filters and the effects, so that the information that you are trying to convey through your image stands out. There is no point in confusing your customers by providing irrelevant information, which is not going to make any difference to your post. Meaningful information makes the post simple and more attractive. It is crucial that the images that you are posting are relevant with the type of story that you are trying to convey and they should also be able to match the mentality of both your present, as well as, target audience. It is true that offbeat posts are also making many businesses famous, but you have to keep in mind that there is a particular time for that. You cannot keep posting offbeat posts that have no relation to your business. No matter what image you are sharing, you have to keep in mind that the images have to be related to the aims and objectives of your business. The images should be so inviting that the customers can easily decipher the choice of your photo along with the minimal context. Posting proper images on your Instagram account helps in keeping your customers intact as opposed to posting irrelevant and complex images. You can explore more about graphic design on Instagram by visiting reputed websites like Gramblast. Eliciting emotional responses from your customers is known to work much better than only leaving a good, as well as, a lasting impression. The fonts that you have selected along with the colors go a long way in bringing out the emotional reaction of a customer. For happy and positive images, you should use bright and bold colors like yellow or red. If your post is not happy enough, it is best to use colors like grey or blue. You have to consider the kind of emotional response that you want to elicit and make the choices in accordance with that. Matching the perfect colors and contrasting them within each post will help in building up the interest of your customers. For example, matching a point along with the background color of your image is a great idea. Contrasting the background elements, as well as, colors in all the posts will help the elements to stand out and assure that the post that is more cohesive. It is important to minimize the color corrections like all the filters. However, this can be extremely useful when it is used in a proper manner. When you decrease the saturation, the image looks washed, and when you do just the opposite, your image will become more vivid. You have to consider as to how the color correction will affect the response that you are looking forward to gaining from the post. 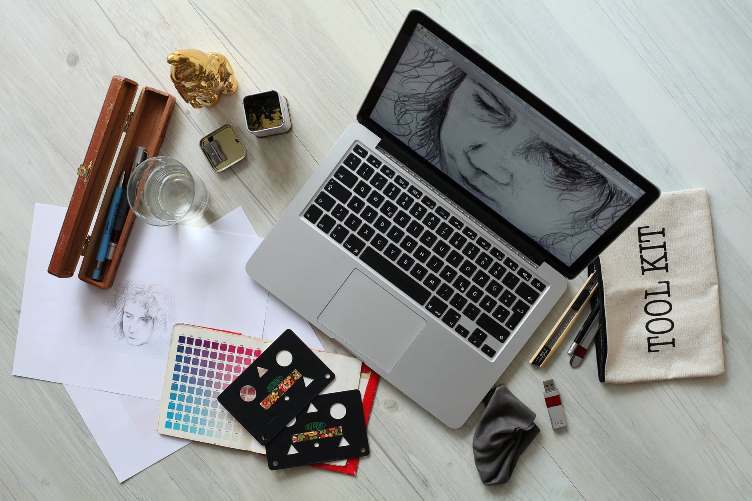 If you have already decided to do the graphic designing yourself, it is mandatory that you go through all the above tips that are mentioned and consider them, to make your Instagram account look beautiful. Daniel Mattei is a Professional writer. He has written many articles on Social Media. He is quite experienced in the field of web marketing as well as website designing. You can visit Gramblast and learn how to build more follower presence.